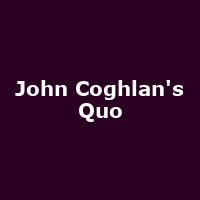 Boogie-rock band founded by the original Status Quo drummer, John Coghlan. After leaving Quo, he formed Diesel before forming JCQ in the late 90s. The current band includes Baz Barry, Mick Hughes and Pete Knight from Predatür. The band performs all the Status Quo hits and album favourites from the Coghlan years: 1962 - 1982.